November is finally here. It is one of my favourite months. The leaves are still falling, the weather has turned cold and crisp, with early frost in the mornings. Christmas is just around the corner, and dark nights mean cosy evenings by the fire and lighting candles. When it comes to autumn, I like rich, forest-leafy scents with spices and depth. Once winter arrives, it is a different story. 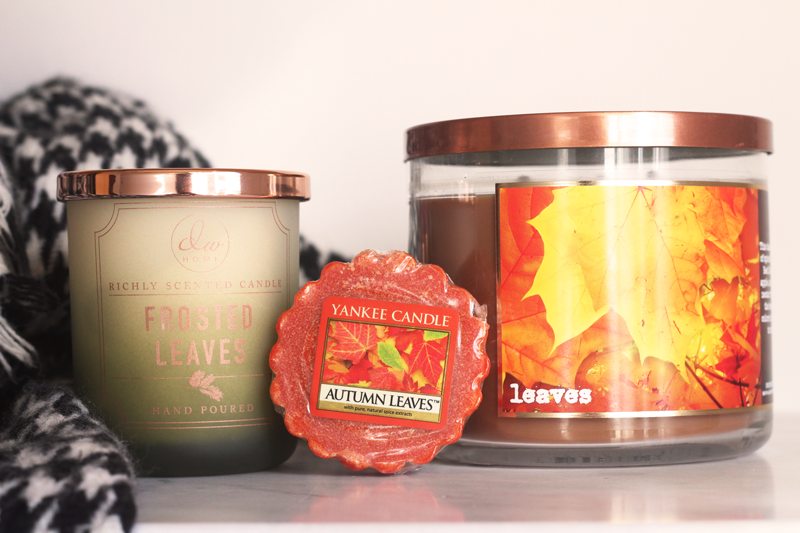 For now though, I am excited to burn through my ‘leaves’ candle collection. Of all the leaf/autumn candles I have tried, these honestly are the best three. If you can get your hands on at least one of them, you’ll be all set for the rest of the season. 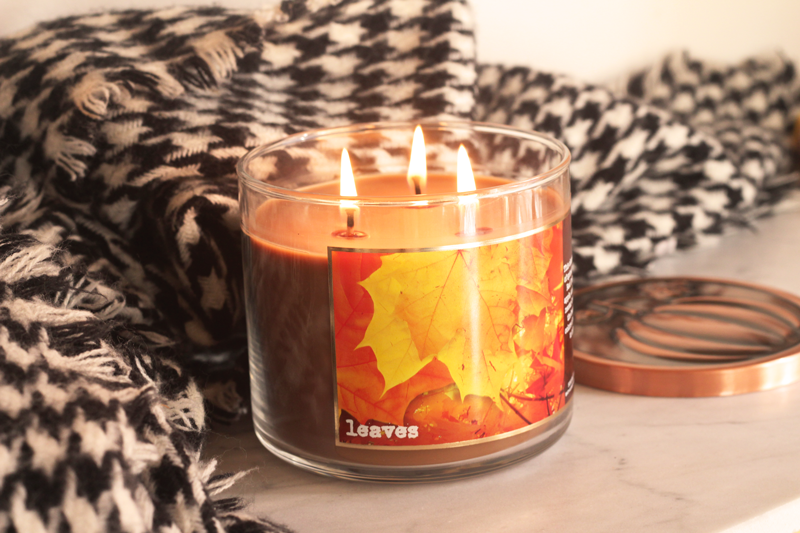 Bath & Body Works – ‘Leaves’ candle. I’ve started with my all-time favourite. Without a doubt, this is the best candle I have ever bought! A bold claim I know, but sometimes you can’t help having favourites. Leaves is a rich blend of spiced berries, clove, red apples and golden nectar. This gives it the perfect mix of rich, spiciness yet with a crispness which really does make you think of autumn leaves. The Bath & Body Works candles have the best scent throw I’ve tried. Once lit, you truly only need to burn it for about 10 minutes to have the whole house smelling absolutly delicious. As long as you get a good first burn, the candle burns down evenly, meaning you don’t waste any product. At around £25, this isn’t such an afforable candle. Despite this, I’d recommend it 100%, because it lasts up to 45 hours and is the candle eqivenlent of a highly pigmented eyeshadow! When you want to buy Bath & Body Works candles in the UK, eBay will be your best friend. I’ve been saving this one all year to burn, and it has been completely worth it. 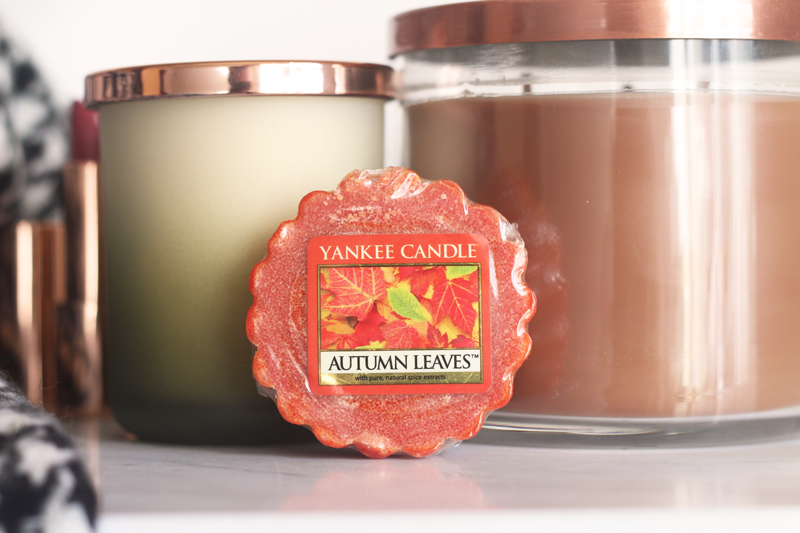 ‘Autumn Leaves’ is a mix of birch and maple leaves, orange blossom, juniper berrt and pomegranate. Oh my goodness. This candle is incredible. Technically, this is a wax melt – but it does come in candle form too! I only managed to get hold of the wax tart, as this was another eBay find. I’m not sure why this isn’t part of the autumn collection here in the UK, but I still hope it will reappear. Again, take to eBay to hunt this one down. The scent is strong without being overpowering, and will fill a room with the delcious, leafy fragrance. It is quite similar the ‘Leaves’ from Bath & Body Works – if you like one, I think you’ll like the other too. I couldn’t resist including my bargain find. DW Home can be found in TK Maxx and HomeSense (the two best shops really, lets be honest) and is one of the best, affordable candle brands. 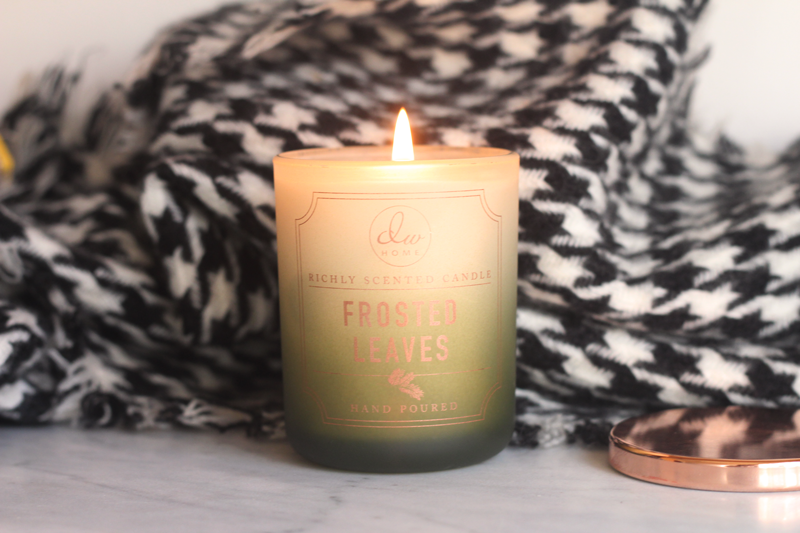 The ‘Frosted Leaves’ candle was only £2.99, which is such a good price! Of their autumn scents, this is one of the more subtle ones. I’m completely ok with this though. I have a small (tiny) bedroom that needs a softer scent as a strong candle is too overpowering. ‘Frosted Leaves’ does the job perfectly. For less than £3, you can’t really go wrong anyway! If you are shopping for candles generally, whatever the season, TK Maxx and HomeSense should definitely be on your radar. You can pick up some really luxury candles with great discounts – I’ve seen lots of Neom candles for affordable prices. I hope you’ve enjoyed this blog post – I know it is quite specific! But if you haven’t tried a candle inspired by autumn leaves, you have 30 days left of autumn to try one. Go go go! My name is Chloe, welcome to my internet home! 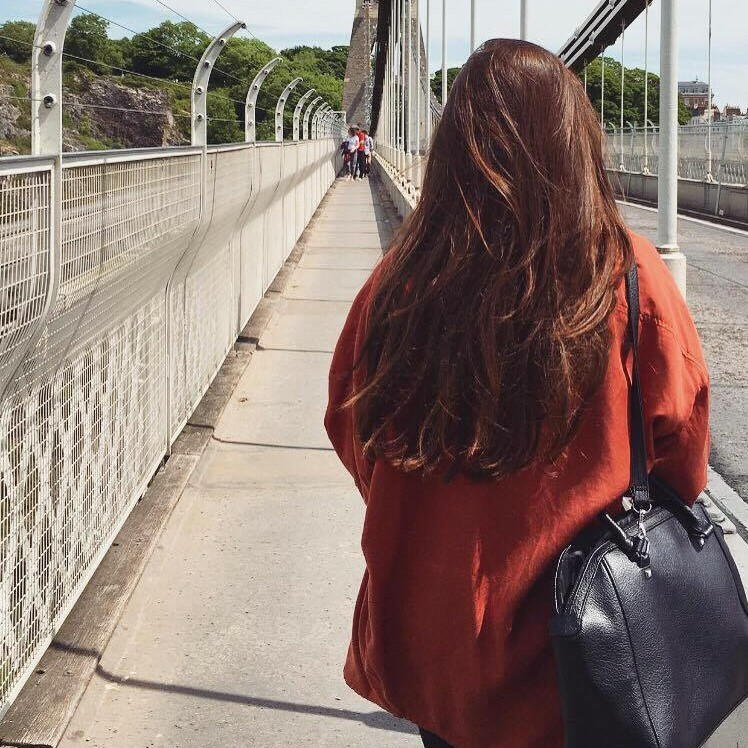 Marble Beauty is a UK based beauty and lifestyle blog, feel free to stay and chat!